Accuracy is the single most important attribute in data. Many retailers and solution providers rely of on a simplified Accuracy Rate. But with the advent of the variety of tracking technologies, we need to design a better way. Accuracy consists of a variety of key performance indicators. For example, door/line counting has different criteria than queue management. 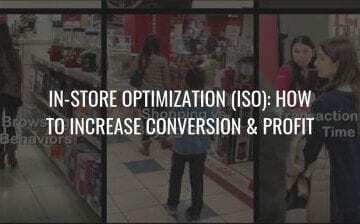 And InStore Analytics is different if the retailer sells groceries, apparel or electronics. Also the data depends if the store is small in size or a big box layout. Each tracking technology has natural pros and cons, regardless of the solution provider. Sensors: Video, thermal, and others are sensor-based solutions. The sensors capture the behaviors of all people within the field of view. Devices: Our smartphones are tracking devices. Google and Apple get data on where and how long we stay in a specific location. Device-based solutions provide information on the individual journey. Attributes: Some technologies do better in identifying Buying Groups. Some filter children. Some define gender and age. And there are questions about cost, deployment, and support. The science of accuracy is based on open standards. We refer to video, and yet they are relevant to other technologies. Tests include 2D vehicle tracking, 2D face tracking, and 3D visual person tracking. Data Consistency: The trend in detection errors. Threshold for Detection: The trade off for recall/precision in counting objects. 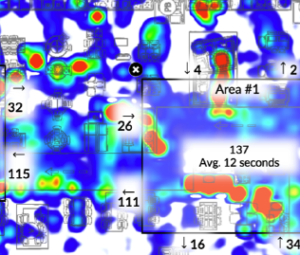 % Precision Rate: How well the tracking technology captured the locations of multiple objects. % Tracking Accuracy: Total errors in tracking. It includes misses, false positives, mismatched IDs, failure to recover tracks, etc. Not all audits are the same. Avoid real-time (manual) audits and test for accuracy in a scientific way. Repeat the test to validate results against the Ground Truth (manual sample). Evaluation Zone: In sensor solutions, accuracy can be tested in the full frame or a limited zone. In device-based scenarios, we determine the size of the Evaluation Zone. Audit Granularity: The length of the benchmark Ground Truth. In detection we aim for shorter time segments (i.e. 15 minutes for door counts or 5 minutes for queues). In tracking objects, we want longer time segments. The recommendation is 1 hour. Traffic Volume: A valid test requires sufficient traffic volumes. . A low-traffic audit (less than 100 people) should be repeated in different time periods. Tracking solutions contain technology, infrastructure, and user interfaces. There are many attributes that define the value of a solution. Hardware vs. Software: Many solution providers are value added resellers. They include various technologies, analytics, and services. Learn the components of the solution. Empiric vs. Statistics: Empiric data is the data captured by the sensor or device. Often the raw data is modified to a trend. Find out where the solution incorporates predictive analytics. Can we check? Good solution providers will give you the audit and monitoring tools. After all, best practices in auditing allow for repeated validation. Data Quality is a function of accuracy in context. Hence we focus on value, technology, metrics, audits, and providers. Ronny Max is the Author of Behavior Analytics in Retail, and Founder of Silicon Waves, a consultancy specializing training and educating retailers and solution providers on the business benefits from behavior analytics.